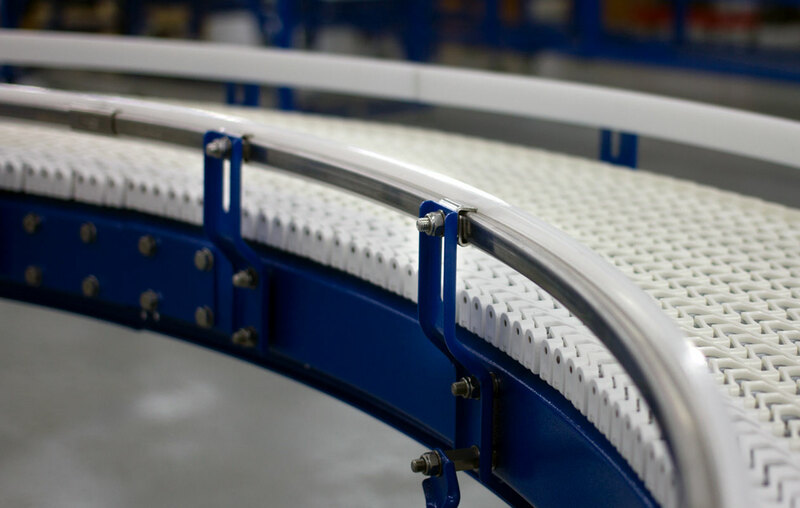 Our horizontal bends are perfect for conveyor systems requiring multiple curves. 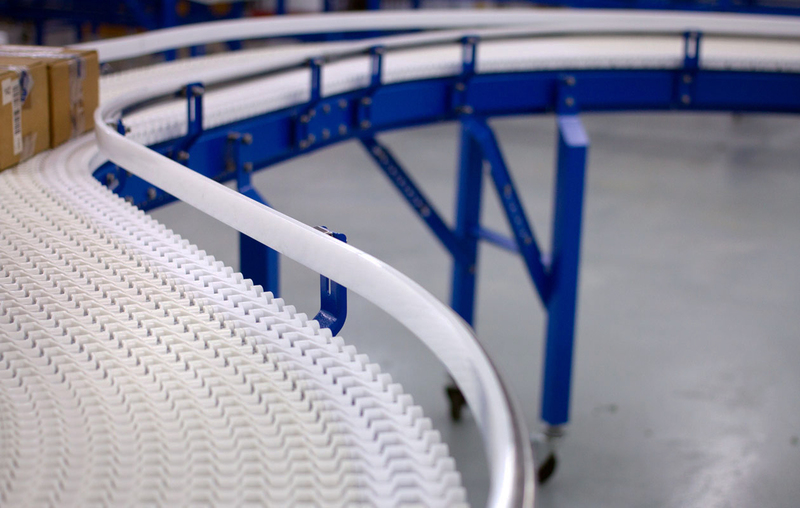 Need a conveyor with multiple curves? It could be a problem for some conveyors, but not ours. Customizable options make for easy integration to boost your bottom line. Let us create the conveyor you need now, and don’t worry about any changes it might need in the future. It’s that easy. They’re easy to modify, if desired. The modular bolted construction makes it simple to add, remove or change sections. Horizontal curves can be manufactured to any degree angle, at any radius, within engineering limits. 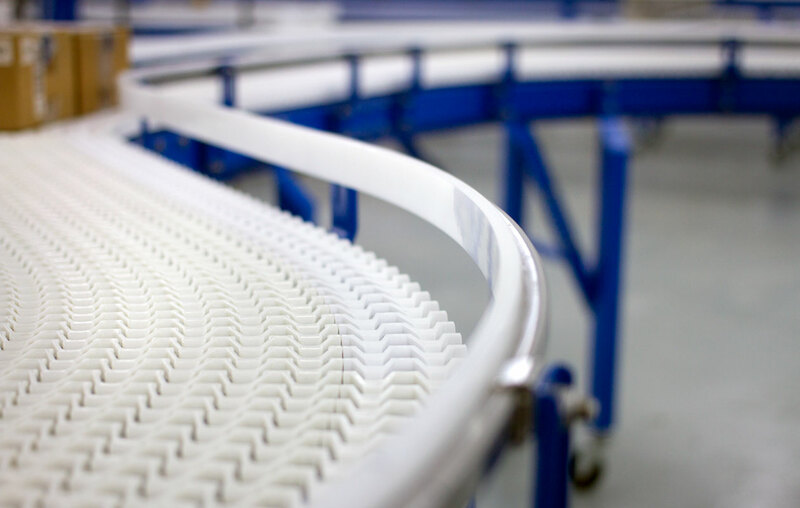 In conjunction with our vertical bends, horizontal curves provide the capability to incorporate a combination of directional turns and elevation changes within a single, continuous conveyor.